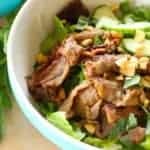 Spicy, tangy, crunchy, fresh, I love this refreshing Vietnamese Beef Noodle bowl salad. Easy to make at home, you’ll turn to this healthy recipe time after time. Spicy, tangy, salty, crunchy, and fresh, I love noodle bowls! And I’m always on the hunt for a good one. To make the prey easier to find, I created a Vietnamese noodle salad recipe to make at home. This is a perfect summer meal because if you grow herbs you have the flavors right in your yard. And you are likely looking for ways to use them. Look no further. The fresh herbs really are wonderful in this dish. Each bite bring different flavors. You notice the bite of basil. Oh, and then there is a bit of mint. If you have cilantro, perfect. The rice noodles are so light and quick to cook. This may seem like a complicated recipe, it’s not. Really. Yes, it does take a few steps and some chopping, but that’s not complicated, it’s just, well, cooking. It is so worth it. Really. This knife is a good slicer, chopper, dicer. Since I’m in chopping mode, I usually chop enough so that I can have it again – for tomorrow’s dinner. I mean, if it’s that good, why not? Everyone I’ve served this to has been surprised and delighted. Why? Because it’s a great combination of ingredients and flavors. It tastes fresh and clean. It’s just right. If you prefer chicken, you can use that. Or firm fish or tofu. When you cook the meat, make sure the pan is hot before adding the meat. And don’t crowd the meat, you want it to sizzle and brown quickly, not steam and stew. Those crusty brown edges give lots of flavor. The trick is to slice your meat really thin. That requires a shape knife. Having the meat slightly frozen makes it easier to slice. The marinade really works on the meat. It just takes 20 minutes for the meat to bathe in the lime juice, garlic, shallots and stuff. Did you know shallots are a power-packed member of the onion family? It’s true, these guys deliver more good-for-you plant compounds that the typical onion. Like 6 time more. Having said that, don’t let a lack of shallot keep you from cooking, go ahead and use an onion. Meantime, while the meat is soaking up the flavor, you can get the rice noodles going and make the dipping sauce. Though it isn’t really a dipping sauce because you spoon all these yummy flavors over the dish just before you eat it. The sauce is tangy and salty from fish sauce, rice vinegar, water, and sugar with garlic, chili, carrot and lime juice. Fish sauce is a funky flavor that adds rich umami. Find it and rice vinegar in the Asian aisle. See this silver thing below? It’s the best zester I’ve found. It is so sharp. It makes zesting citrus fruits a breeze. This is one of the items on my LiveBest Kitchen Equipment List. These are my preferred peanuts. They are crunchy and not too oily. 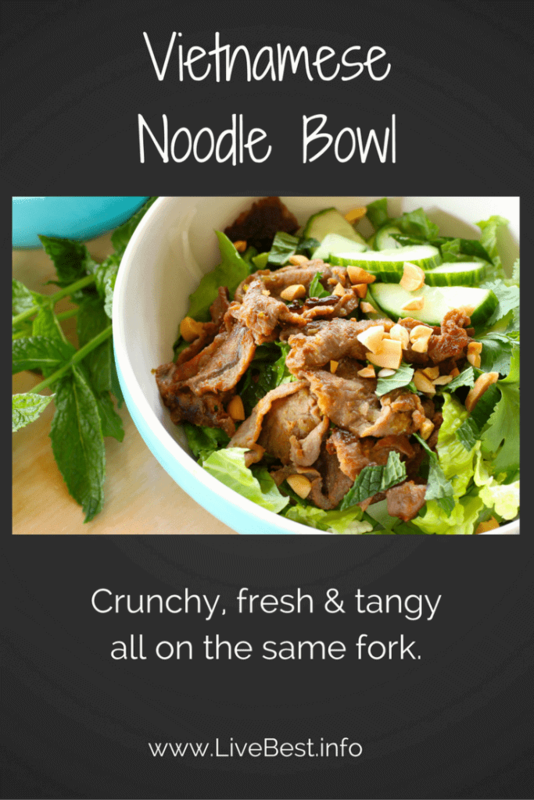 Spicy, tangy, crunchy, salty, and fresh, I love this refreshing Vietnamese Beef Noodle bowl. 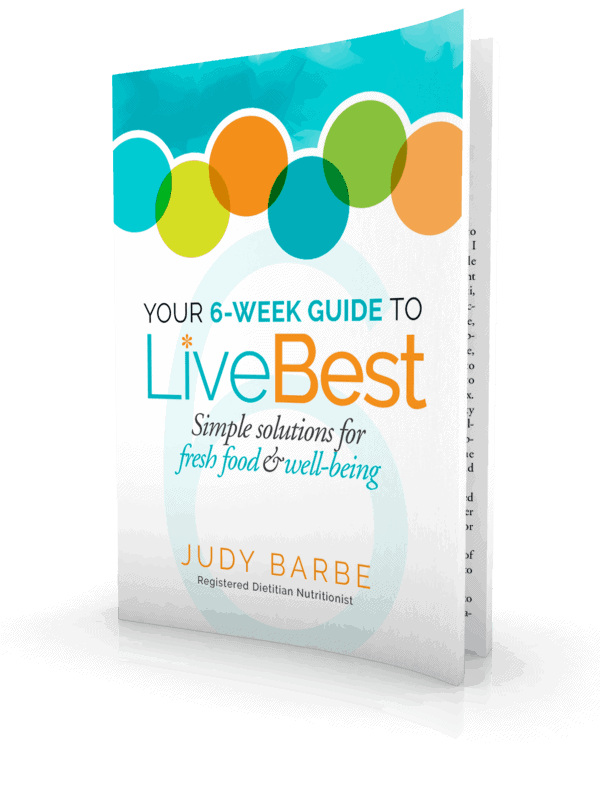 Easy to make at home, you’ll turn to this healthy recipe time after time. 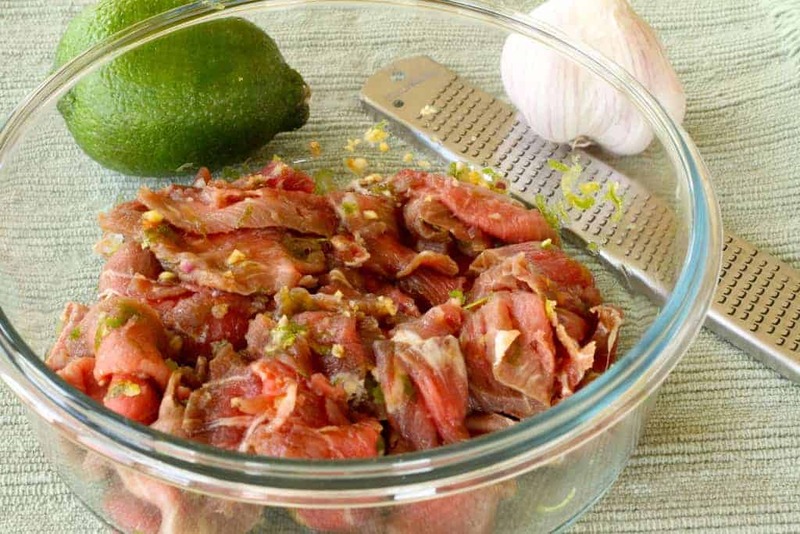 Combine beef in a bowl with lime zest, fish sauce, chile paste, ginger, garlic and shallots. Set aside for 20 minutes to allow flavors to develop. Follow package instruction for vermicelli or bun noodles. Essentially, cook the vermicelli in a large saucepan of boiling water for 5 minutes. Turn off the heat and allow the noodles to stand in the water for 5 more minutes. Strain in a colander and rinse under cold water, then cover with a damp towel and set aside at room temperature. In a large bowl, toss the cucumber, mint, cilantro and lettuce. Heat the sesame oil in a large skillet over medium heat. Working in two batches, stir-fry the beef until browned and caramelized, cooked through. Transfer to a plate. Repeat. Return the first batch of beef to the wok and heat through. When ready to serve, divide the rice noodles among 4 serving bowls. Top with lettuce mixture. 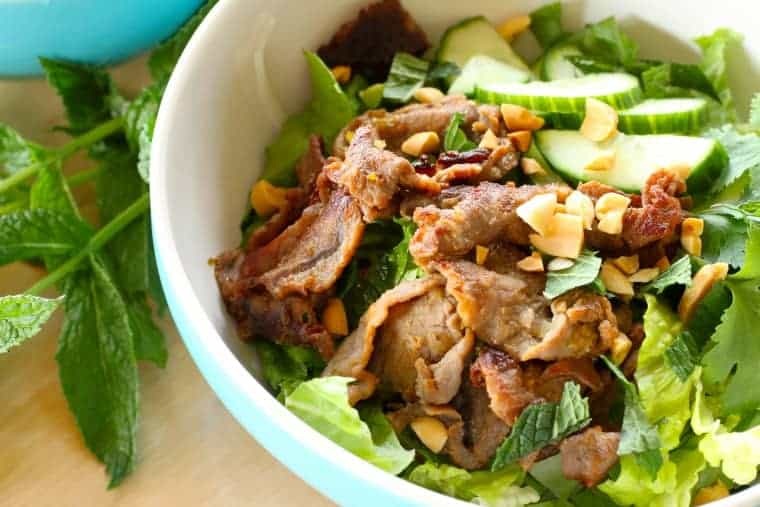 Serve the sizzling hot beef on top of the rice noodle salad and sprinkle with the peanuts. Drizzle the dipping sauce over top.